Catch up with all of Sunday's action here and watch the finals live at the top of this page. Play video What a goal! from BBC SportWhat a goal! What a day. What a weekend. What a competition. It has been brilliant. The FA People's Cup 2017 started with record-breaking numbers and finishes with the winners crowned in all 16 categories. A huge congrats to everyone who has taken part right from day one back in February through to today. There have been so many great moments and performances but most importantly it looks like everyone has had great fun throughout. Thank you to everyone who has got involved and sent messages in during the competition - it wouldn't be the same without you. That is it from us. Inspired? Why not give it a go next year? We're almost at the end of our coverage here. Don't forget our highlights show of the FA People's Cup finals weekend will be shown on 27 May during the FA Cup final build-up on BBC One. If you've been playing today, you might spot yourself on TV! If you're anything like us, the first final of the day seems like a long time ago. So, for both yours and our benefit... here's a recap of the winners from the day's action. The last final of the came around so quickly, don't you think!? It might be late in the day, but for the ladies from Plymouth and Norton and Stockton Ancients, their spotlight moment was still to come. Plymouth opened the scoring with some good pressing but Norton were quick on their heels to equalise. The remainder of the game was tense (we were on the edge of our seats here! ), but in the end, it was Plymouth who stole the victory after a deflected shot won it. Excellent sportsmanship, even better goals! Well done ladies! See you back here same time next year! The final of the Adult Male category is always a hotly contested affair, and this year's was no exception. KO5 faced Woolpack United in a match that saw few goals, but many epic saves from both keepers. It's one to watch for any aspiring goalies out there! The last final of the disability categories was a blinder! The Premiership finalists, Exeter City and South Tyneside Ability DFC were defintely up for the challenge; but it was Exeter who took an early lead with a bullet of a shot. The rest of the game saw a sublime long-range left-footed strike and a counter attack that any Premier League club would be proud of. 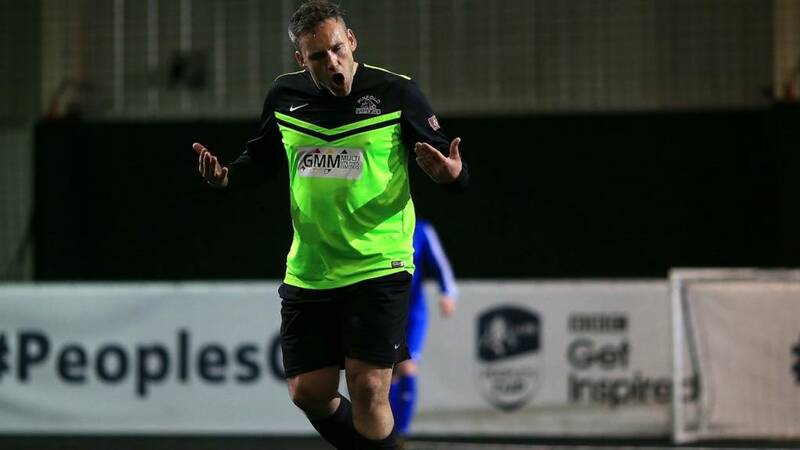 Tyneside did get one back, but it was too late for them, and Exeter secured a 4-1 victory. Here's the victorious Hackney Jurassics lifting the trophy for the second year in a row. Will anyone be able to beat these fab-osaurus women next year?! Think your team can? Then click here now! Bucket list mastered and a photo with a footy master! Hayes & Yeading FC had a fab time at the People's Cup finals today. Earlier on Hackney Jurassics defended their 2016 People's Cup title with a 2-0 victory over fellow veterans, Armley FC. It was a cagey first half with both teams struggling to hold the ball- but it was Hackney who forced their way through to open the scoring. Watch this goal and all the highlights from the game here! So all of the winners of the FA People's Cup are confirmed. All of the highlights and reaction coming your way. That was harsh on Norton. They competed well and it was a deflected goal that snatched it. Plymouth are worthy winners though. Congrats! Plymouth a crowned Adult female FA People's Cup champions! It is high-fives all around from the team. GOAL - Is that the winner? A deflected shot from Plymouth squirms under the goalkeeper. Norton have seconds to respond. Norton come within inches of a winner. Just wide of the left-hand post! Three minutes left. Still 2-2. Plymouth on the attack. Immediate response from Plymouth as more high pressing reaps rewards.